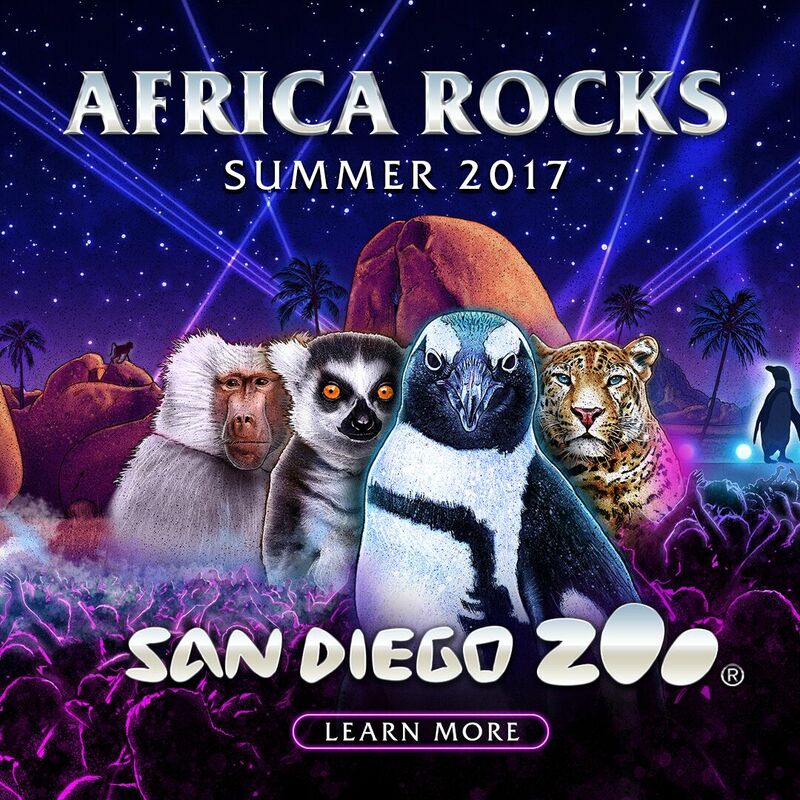 San Diego Zoo’s Conrad Prebys Africa Rocks is a new exhibit that spotlights the biodiversity found on the African continent. Just in time for Summer 2017, SIX new habitats have been added! Rollout begins July 1st, 2017. The first to debut are the penguins of Cape Fynbos. Other habitats will open as animals become acclimated to their new homes. The latest information can be found at africarocks.sandiegozoo.org. Africa Rocks is the Zoo’s most ambitious exhibit project to date. The six habitats of Africa Rocks are Kopje, Ethiopian Highlands, Acacia Woodland, Madagascar Forest, West African Forest, and Cape Fynbos. Naturally, the draw for many are the animals. But I am just as excited to see The African Garden. The Ethiopian Highlands area will present strange, startling, and beautiful plants, many that you may never have seen before. Kopje These boulder-strewn islands in grassland savanna are home for a variety of animals that live their lives among the rocks, including meerkats, hyraxes, and klipspringer antelope. Ethiopian Highlands This rugged mountain habitat is made up of craggy, granite peaks and plateaus. The unique species adapted to this environment include Hamadryas baboons, geladas, and Nubian ibex. Madagascar Forest Madagascar’s forests are among the world’s most distinctive, with dramatic limestone formations and spiny dry forest plants. This is home to species found nowhere else on Earth, including the extraordinary tree-leaping lemurs. West African Forest The dense, tropical forests of western Africa get up to 80 inches of rain each year, creating waterfalls, streams, and pools for fish and the dwarf crocodiles that eat them. Cape Fynbos The fynbos along South Africa’s rocky coastline sets the stage for unusual species, including the weird and beautiful protea plants, small sharks that swim among the reefs, and the adorable, warm-weather African penguins. We plan on making a visit to The San Diego Zoo and checking out Africa Rocks. We will be sure to share our adventures with you in a future blog post!